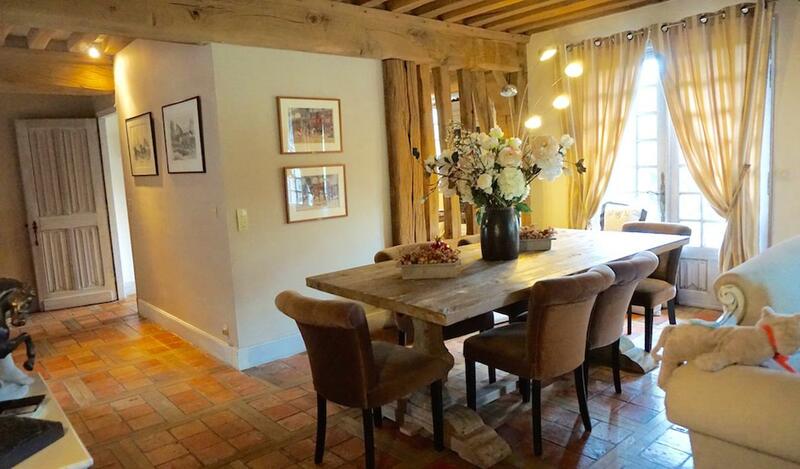 Located in a bucolic setting, overlooking the valley, this cottage augeronne built by Lebas, offers in addition to a location of choice, warm and convivial rooms. On a park of 5600m2, is built a cottage of approximately 250m2, provided with beautiful materials: ancient tomettes, exposed sand beams .. The entrance leads to an independent kitchen, equipped and functional. Storeroom - laundry and a garage (can become a bedroom with a bathroom). The large living room contains a dining room, a living room with picture windows and a majestic fireplace, as well as an office and cathedral roof. The floor distributes three rooms sharing a room of showers, and a parental suite with a room of water with shower and tub. 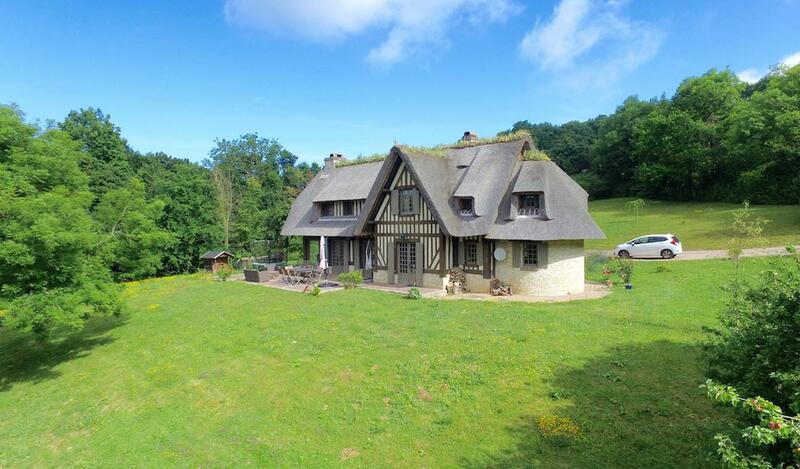 The property benefits from a quality environment, without nuisance, close to the beach and Deauville.